The PappyShow bring their first full length work, Boys to The New Diorama Theatre. 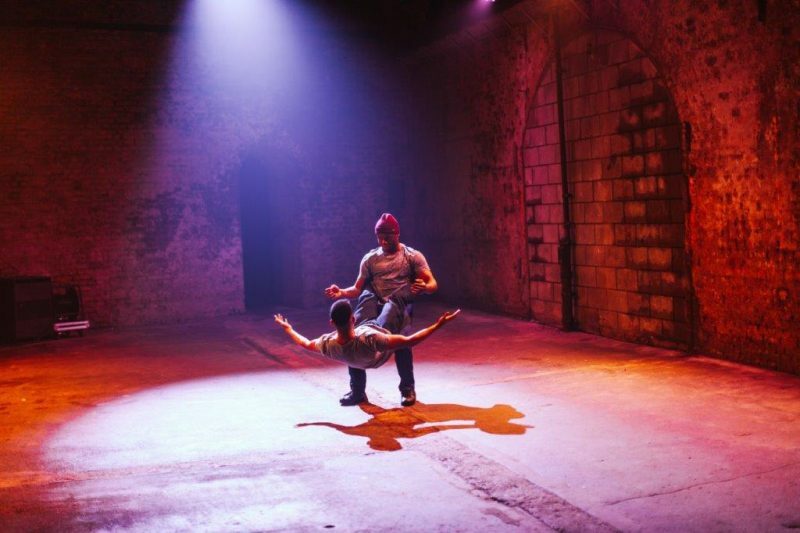 It’s already been quite a year for the production, a sell-out run at The VAULT Festival, followed by regional performances, including Latitude Festival. The current run already looks set to sell-out, and it’s not hard to see why, The PappyShow are offering something revolutionary in the way they portray men and masculinity on stage. Exploring ‘toxic masculinity’ has become a bit of a trend in theatre lately, and perhaps rightly so. 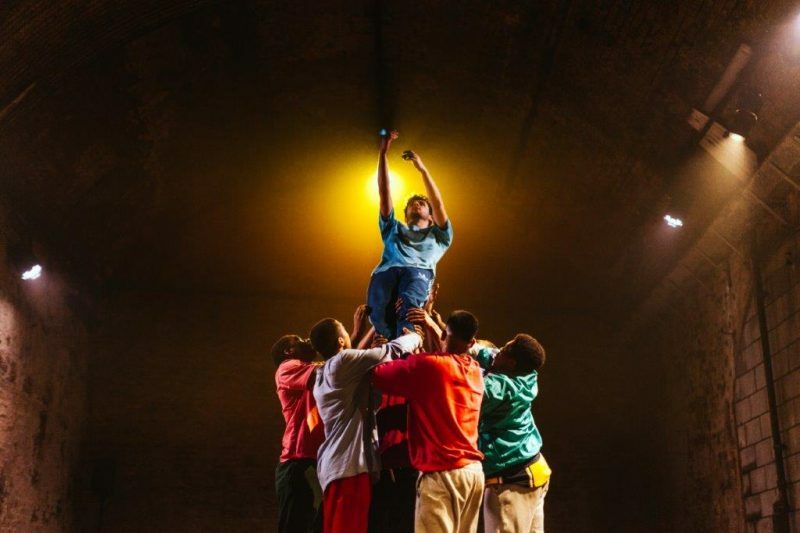 Boys, however, asks some important questions about what it is to be a boy transitioning to manhood, and then celebrates masculinity in all of its forms through a beautiful mix of physical theatre, storytelling and gamification. 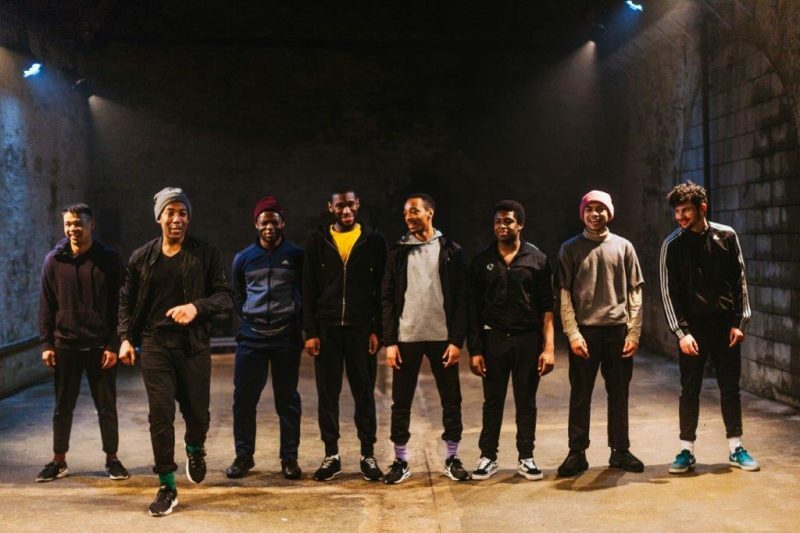 Nine men of colour share the stage, and despite running at just over an hour there is ample time for each of them to shine, as they share personal stories about their own masculinity. They come from around the world and their heritage and culture play an important role, but most importantly Boys subverts the myths and stereotypes of masculinity, and the experiences shared here will resonate with men from all backgrounds. There isn’t one single narrative as such, instead it’s a collection vignettes which offer brief insights to the different elements, perceived or real, which encapsulate manhood. For the most part it looks as if the cast are totally free-wheeling it, improvising it on the spot as the play out their collective game, it feels like anything could happen and that brings a certain excitement. Of course, the reason it looks so spontaneous, is because it has been so tightly choreographed. Boys has been in development for a couple of years, and although cast members have come and gone, the bond between them is clearly evident. 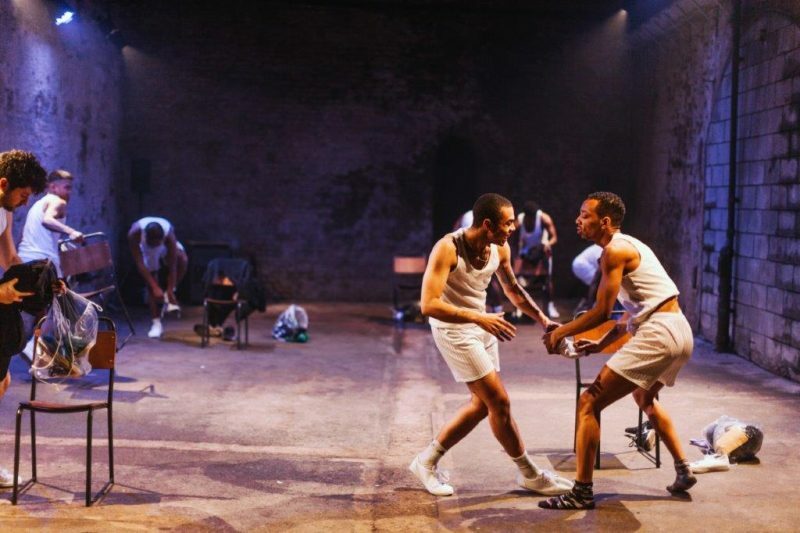 The PappyShow, led by Kane Husbands, are a physical theatre company, and so that is what comes to the fore, truly beautiful movement perfectly capturing the male experience. That movement, and some of the dialogue, is set to an incredibly absorbing score created by Roly Botha. The music has been perfectly crafted to complement the stories being told, sometimes soaring to represent friendship, at other times oppressive, mirroring the mental anguish felt by too many young men today. In the absence of any kind of set, this remarkable soundscape creates the backdrop for this valuable and moving piece of theatre to unfold. Each section is headlined; Discipline, Competition and Endurance just some of the chapter titles – words which boys have drummed in to them by other people who are trying to force their own view of masculinity. It feels like Boys should be essential viewing for every boy coming towards manhood, because here The PappyShow, and nine very talented young men, demonstrate that masculinity comes in many forms, if only we could all accept each other’s version of it.